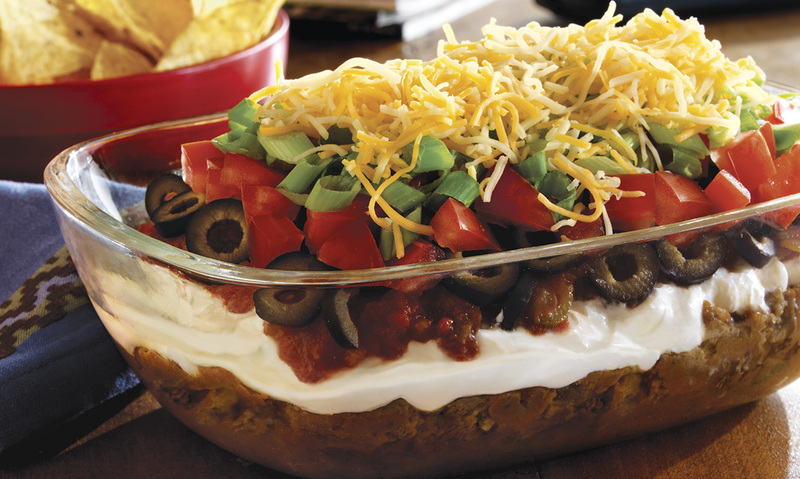 Pile on the flavors for your next party with this quick and simple 7-Layer taco dip recipe! And of course, don’t forget the tortilla chips! In large skillet over medium heat, crumble and cook sausage until browned. Stir in beans, chilies and taco seasoning mix. 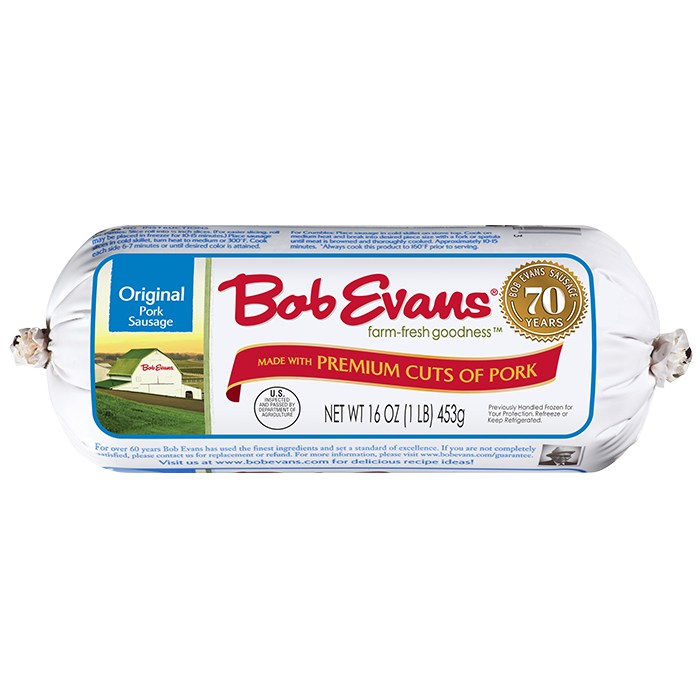 Spread sausage mix into 7 x 11 inch serving dish. Top with sour cream and salsa. Sprinkle olives, tomato and onion on top. Cover with cheese. Serve immediately with chips. Refrigerate leftovers. 1 In large skillet over medium heat, crumble and cook sausage until browned. 2 Stir in beans, chilies and taco seasoning mix. 3 Spread sausage mix into 7 x 11 inch serving dish. Top with sour cream and salsa. Sprinkle olives, tomato and onion on top. Cover with cheese. Serve immediately with chips. Refrigerate leftovers.